Fox Sports journalist James Hooper has revealed one of the all-time April Fool’s jokes on The Matty Johns Podcast. 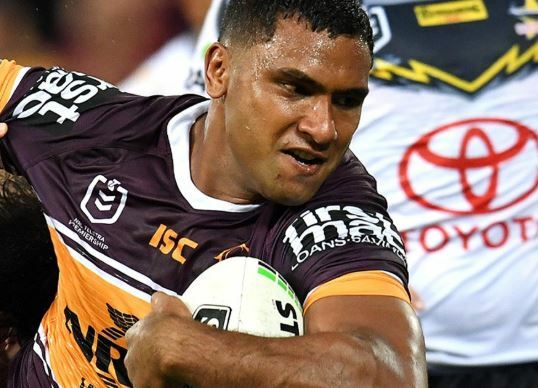 With the Brisbane Broncos desperate to re-sign boom forward Tevita Pangai Junior, Hooper says TPJ fronted Broncos CEO Paul White on April 1 and told him he had signed with the Sydney Roosters. “Tevita Pangai Jr obviously he has been in the headlines a lot as the million dollar man and the Roosters are chasing him,” Hooper said. “He has gone into Broncos’ CEO Paul White’s office on April fool’s day first thing in the morning. “He sat down and started to cry and said: ‘Mate there is something I really have to tell you and I feel like I’ve done the wrong thing, but I’m just going to be straight with you’. Pangai Jr then left the office for training but returned a short time later. “By the time he came back twenty minutes later everyone in the office has started to talk about it.